Your dog must be healthy and fully mature, at least a year old, dependent on breed even older, if in doubt check with your vet. Children are welcome at most groups, as long as they are accompanied by an adult. Ideally children should be aged 10+ years old before starting, but our races do allow 7 year old’s accompanied by an adult to race. IMost groups are organised through facebook groups if you are not on facebook contact Karen on: canisportsscotland@hotmail.co.uk and she will put you in touch with your local contact person. Our Canisports-Scotland facebook page for general information ask a question on there and loads of folk all over the UK will be happy to help. Thursday evenings regularly at 7pm (6pm for beginners as required) in the East Dunbartonshire area (various venues). Plus additional runs and adventures are organised on an ad hoc basis. Monday nights 7pm Pollock Park. 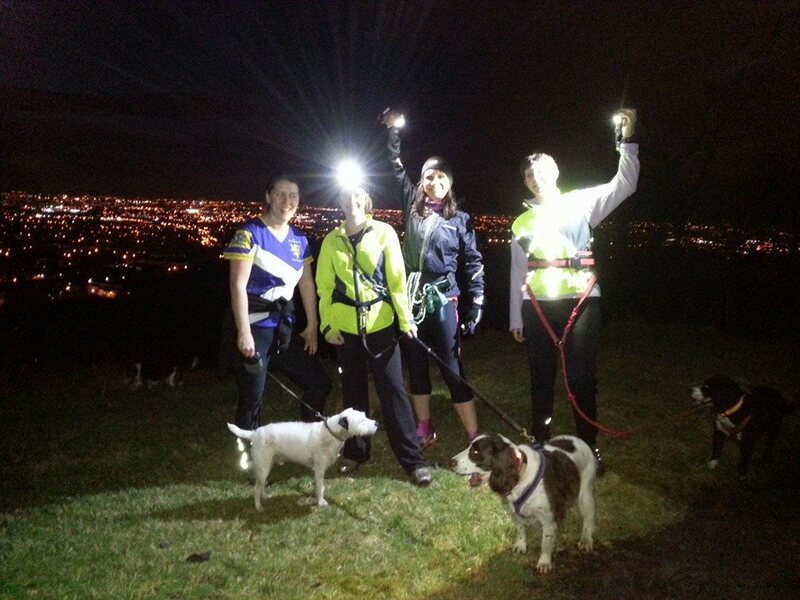 Regular run at Camperdown Country Park, Dundee every Thursday evening at 18:30. Everyone welcome and all abilities catered for. Spare kit and advice available for beginners. Ad-hoc runs/adventures in and around Dundee also organised from time-to-time (see FB Group for details). A group for all to arrange runs and events (meets in the forrest,parks, beach etc) in and around Fife! Group runs Wednesday Evenings Duloch park KY11 8LW 6:30pm (trail or grass). We also run at Beveridge Park on a more ad-hoc basis – see facebook page for details. For anyone interested, or wanting to know more about, the sport of canicross that live or are up in the Highlands of Scotland. A new beginners group just setting up for anyone in the Cumbernauld area. Cani-Cross, Bikejore and Scootering. Check out our facebook group for more details. Also one to one services for canicross training, bikejor and scooter training, dog walking and pet sitting services. Saturdays at 9.30am. These are free weekly timed 5km human runs where cani-crossers are allowed to take part with a single dog only. You must pre-register by the day before your first run on their website. Please make sure if you go along that you are considerate to the other runners, keep your dog on a lead or short line and allow them to pass and make sure you clean up after your dog.